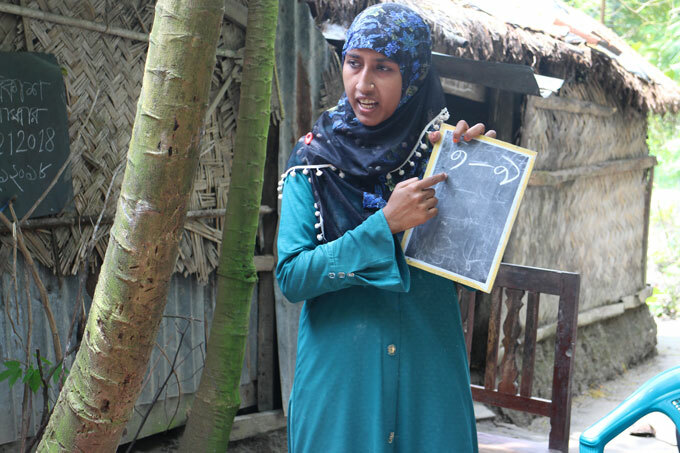 Shahina is one of millions facing daily challenges to access basic services in the chars, riverine islands in the remotest areas of rural Bangladesh. There are few schools, much less hospitals or banks. There is no electricity, unless you are one of the few who can afford solar panels. Most adults—especially women—are illiterate. Many men leave the area to seek seasonal work elsewhere; women stay home and tend to the crops. Mobile money could be a solution, but women in Bangladesh have one of the lowest rates of mobile money usage in the world. Recent surveys reveal that for those who do use mobile money, it is usually over the counter (OTC) – through an agent rather than through their own accounts. The dearth of women using mobile financial services may indicate an overall lack of appropriate products and services. 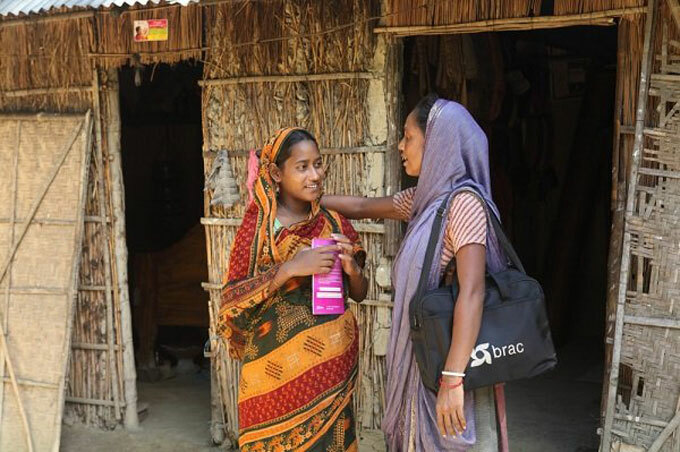 BRAC, one of the world’s largest NGOs and the operator of a large microfinance programme, decided to see if more could be done to seize the potential of mobile money for poor women in remote regions, like Shahina. 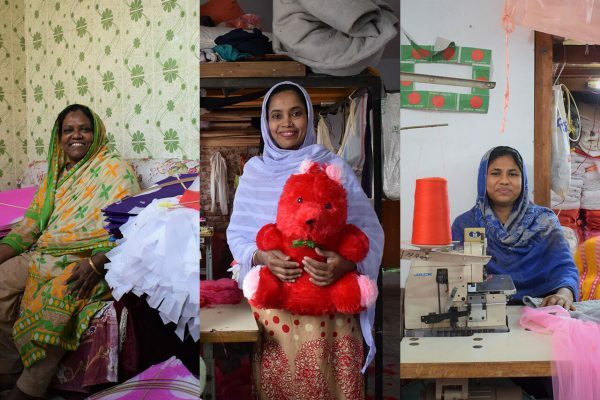 BRAC endeavoured to create a ‘cashless branch’ in Noakhali, that would enable women to receive remittances from distant family members and use mobile money to repay loans and deposit savings. The ultimate goal was to empower women like Shahina to use mobile money effectively in their daily lives. At the start of the programme, virtually none of BRAC’s clients had mobile wallets, and just over half had their own mobile phones. We found that many women relied on their husband’s phone and didn’t know how to make calls (they waited for their husbands to call them); in fact, most women did not even understand the numbers on a mobile phone. Despite these challenges, we were encouraged that many of our clients were eager to learn how to use mobile money, because they saw how it could save them lengthy and difficult travel to receive and repay cash. For many, the closest agent was a thirty minute walk by foot and the BRAC branch office twice as far. BRAC conducted free training sessions on mobile money twice a month, and the community responded: A typical session was attended by 25–30 women. The training worked well because it was simple and the teaching materials were basic: a portable slate and chalk. Women brought their phones so that they could practice as they learned. Beginning with numerals and then moving on to the functionality of the phone, eventually the women grew comfortable navigating the numbers on the phone and the steps to completing transactions on bKash. 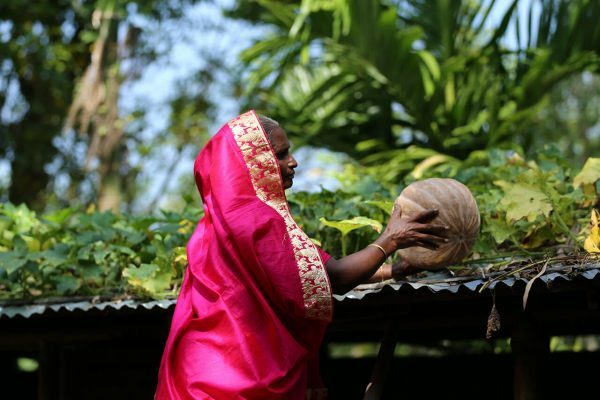 Over 10 months, 200 microfinance clients—all women—received the training. The project monitored the women’s subsequent transaction activity, and found that at least 65 have become regular bKash users. They receive and send cash, make payments, check their balance, and refill mobile airtime. They also knew how to dial numbers and call their husbands when they wanted to. The others receiving the training want to become regular users, but they still don’t feel comfortable doing the transactions themselves. Many of them have never attended school and find the combination of numeracy and technology intimidating, even after a lot of training. Those who have even 3-4 years of school find it easier, and tended to have the confidence to do their own transactions after 3-6 months of training. IDP continues to work with the remaining women in the hopes that they too, may get there with enough practice. Mobile money’s benefit to these women goes beyond saving them a long, muddy walk every week to receive an over-the-counter remittance via an agent. Because they can now send and receive money from home, they have more time for other endeavours. Now, Shahina also uses her bKash wallet to top off her mobile balance for free, rather than buying airtime cards at the market. Her husband remits money to her directly. This is similar to the others in her group that have mastered the technology. A few even receive remittances from family members working abroad. Some of the benefits are less tangible: Shahina expresses greater confidence now that she has this new skill. It makes her happy that she can independently conduct her financial transactions without interference from anyone. We hope the independence and feeling of empowerment has given her the courage to make more decisions on her own. Mobile money has the potential to affect much more than just financial transactions, particularly for women. This project was supported by BRAC’s Innovation Fund for Mobile Money, a partnership with the Bill & Melinda Gates Foundation. It is now expanding into other remote villages in the chars. Mobile money is especially valuable to those living in remote places, who often face greater challenges than most in accessing financial services. But the barriers to adopting and mastering the technology are difficult to overcome without intensive support from mobile money providers or other organisations. Originally posted on the CGAP Blog. Maria A May is the senior programme manager for BRAC’s social innovation lab and microfinance programme. 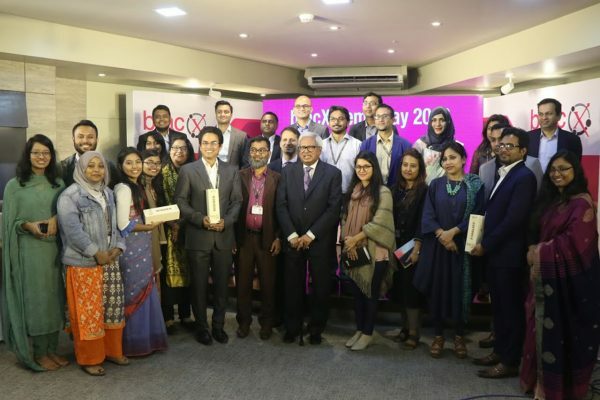 Fatema Tuz Johora is communications manager for BRAC’s integrated development programme.